The first editions of the EHF Championship in both the W17 and W19 categories are ready for throw-off. 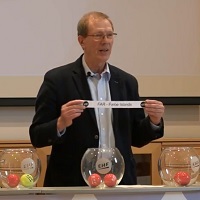 After the draw at the EHF Office in Vienna on Wednesday, the 38 nations taking part know which teams they will be facing during the four second-tier competitions hosted by Italy, Georgia, Lithuania and Bulgaria in the summer of 2019. A total of 20 teams entered the W17 EHF Championship events, taking place in Pescara, Italy and Telavi, Georgia on 3-11 August 2019. They have been divided in two equal tournaments based on the younger age category competitions ranking valid for the W17 EHF EURO and W17 EHF Championships 2019. With 18 teams taking part, the W19 EHF Championship events are set for Kaunas/Klaipeda, Lithuania on 15-21 July 2019 and Varna, Bulgaria on 13-21 July 2019.